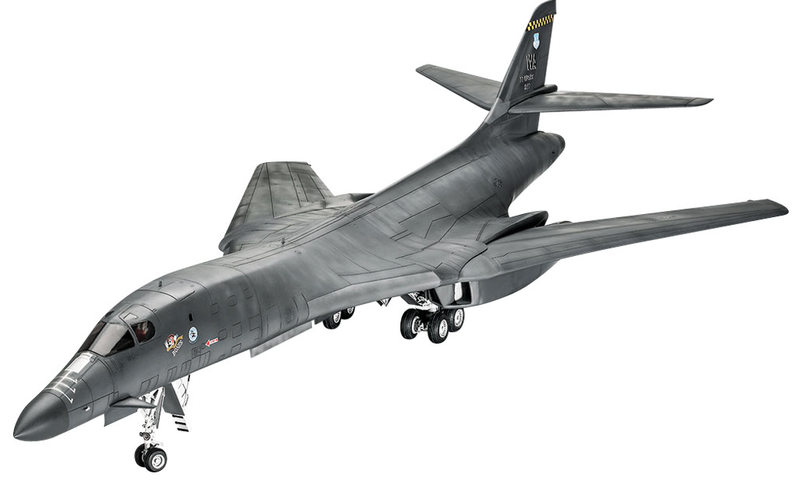 FANS OF BIG BOMBER models could do worse than look at the Revell B-1B Lancer kit. It's a biggie all right - to 1:48 scale, the model measures some 921 mm (36.26 in) when assembled. SMN report: The Revell B-1B has moveable wings, which accurately model the real thing's variable-sweep geometry. Also in the kit are a removable hatch and entry/egress ladder, bomb bay doors, detailed radar, and decals for two different aircraft. 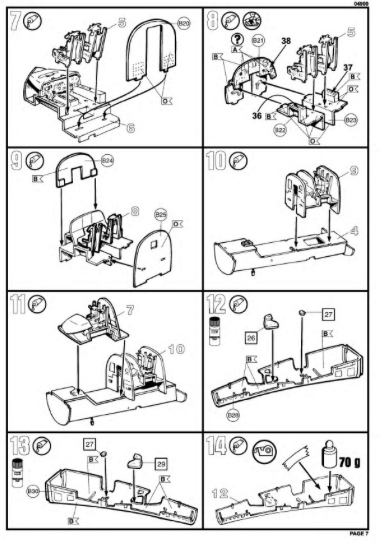 Instructions (below) are comprehensive, with step-by-step exploded-view line art to guide the buildup accurately. 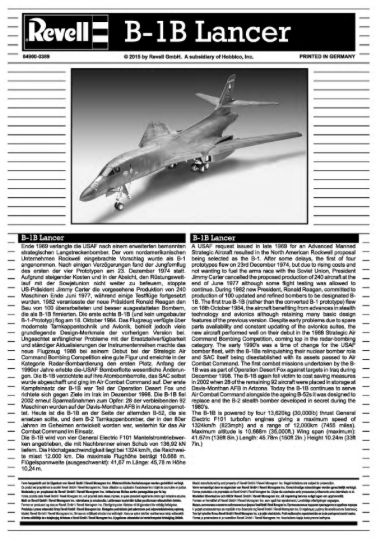 The B-1B's flight deck has a fair amount of detail, which will respond well to careful painting and finishing. 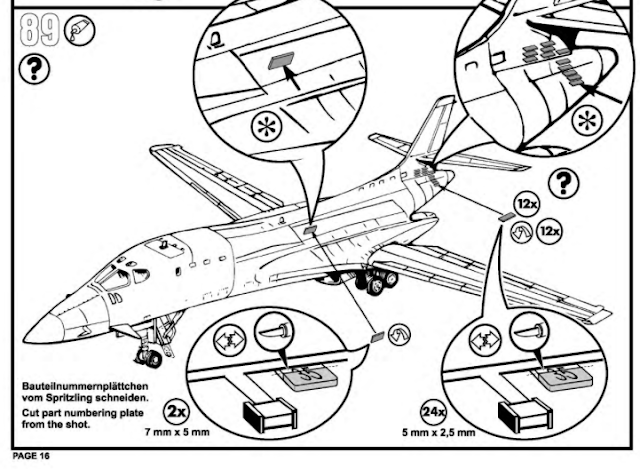 It's a pity there's not much to see once the fuselage halves are mated, so maybe it's an argument for including in the box a fuselage half in transparent plastic. 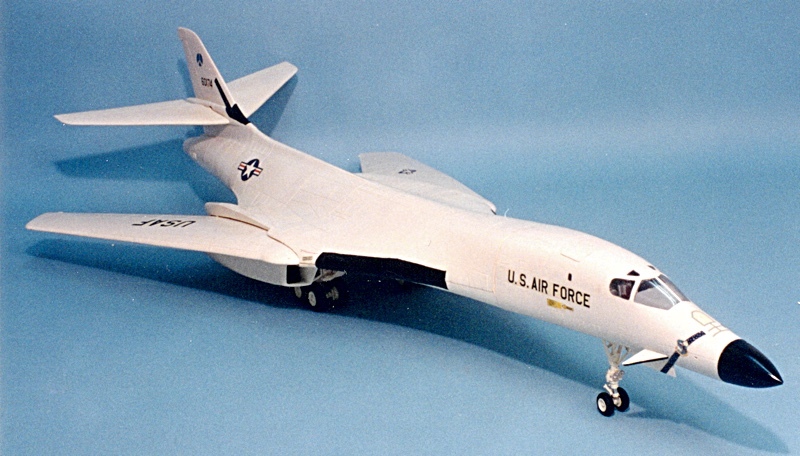 It's been done before, particularly by Tamiya with its Bell X-1 and Fairey Swordfish kits. Plenty of visual guidance is provided for a trouble-free assembly, even if the few words in print are not exactly a lexicon of model building advice. 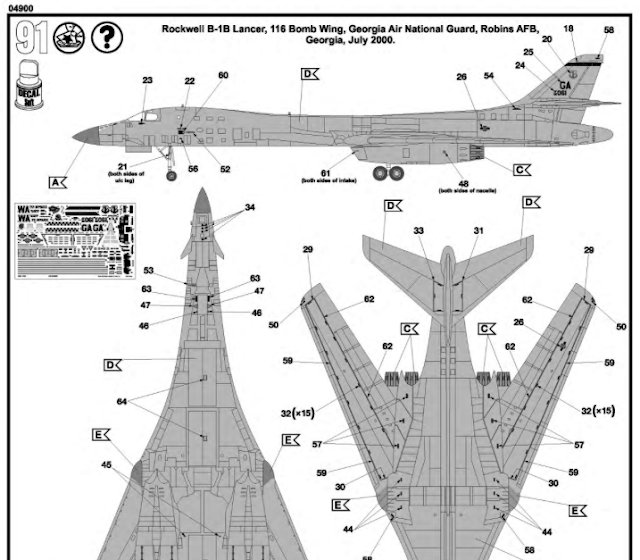 Decal positioning and marking schemes are fully mapped. Developed to replace the B-52, the B-1B Lancer bomber - nicknamed 'Bone' by its crews - has become a complement to the older bomber, rather than a direct replacement, but does have a far reduced radar signature. 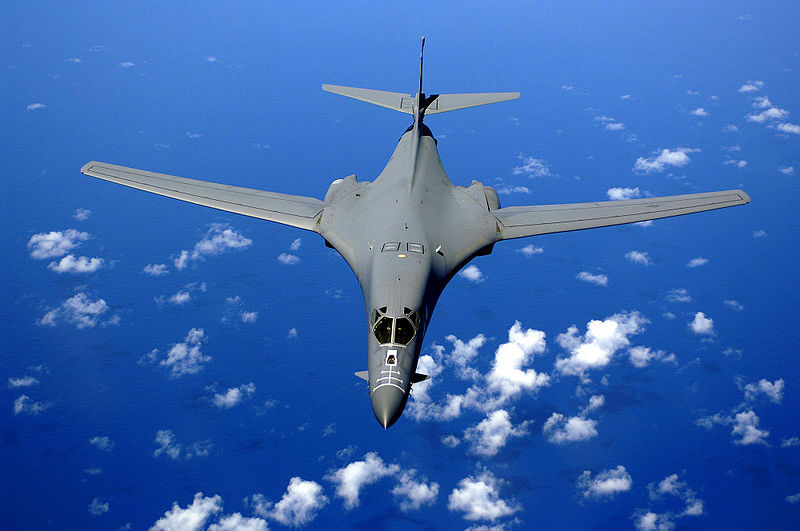 B-1Bs have been used extensively the Iraq and Afghanistan wars, to deliver both guided and unguided munitions to their targets. 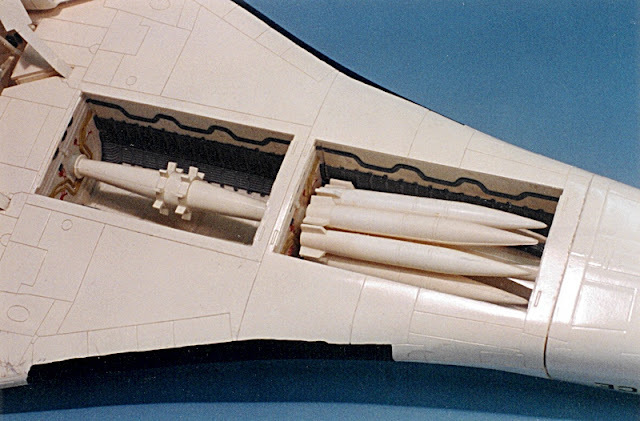 Weapons are carried in three internal bays, plus external hard points. B-1B Lancer (below) flies over the Pacific Ocean. Pictures of a previously released version of the kit (below) supplied by Mat Irvine.